Discovery Communications Inc. (NASDAQ:DISCA) has announced that it has reached a deal to buy Scripps Networks Interactive Inc. (NASDAQ:SNI) for $11.9 billion. The deal calls for Scripps shareholders to receive $90 a share, a 34 percent premium above the value when talks were first reported roughly two weeks ago. The $90-per-share price includes $63 in cash and $27 a share in Class C Common shares of Discovery stock. The total price of the deal, including debt, is $14.6 billion. The acquisition was announced on Monday. Under the terms of the deal, Scripps CEO Ken Lowe would join the board of the combined company. The deal still requires regulatory and shareholder approvals. Allen & Co LLC and J.P. Morgan Securities served as financial advisers to Scripps. Guggenheim Securities and Goldman Sachs served as financial advisers to Discovery. After the merger, the combined company would offer 300,000 hours of content and hold a 20 percent share of ad-supported cable audiences in the United States. It would be home to five of the top cable networks for women and hold more than a 20 percent share of women prime-time viewers across the country. The strength of the combined company would improve its position in negotiations with cable and other distributors when contracts come up for renewal. The companies expect $350 million in total cost synergies from the merger. 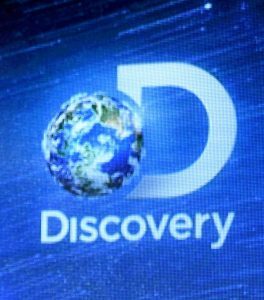 Discovery Communications owns a number of popular networks, including the Discovery Channel, Animal Planet, TLC and OWN. Scripps is the home to a suite of lifestyle channels that includes Food Network, HGTV and Travel Channel. Discovery said that it will evaluate the Scripps channels to figure out if any could be web-based, a move it has already taken with its own channels. Both Discovery and Scripps also reported quarterly earnings on Monday. Discovery reported flat year-over-year ad sales revenue of $472 million and overall quarterly sales that were up 2 percent to $1.75 billion. Scripps reported second quarter ad sales growth of 2% and lowered its full-year estimates. Discovery shares ended regular trading down 8.2 percent at $24.60. Scripps’ shares finished up 0.6 percent at $87.41.